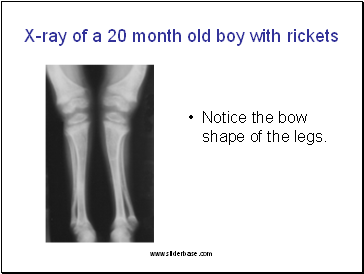 Rickets is a disorder involving softening and weakening of the bones (of children). It is caused by lack of vitamin D, calcium or phosphate in your diet. 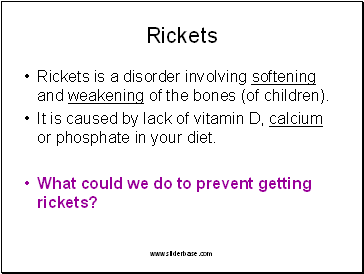 What could we do to prevent getting rickets? 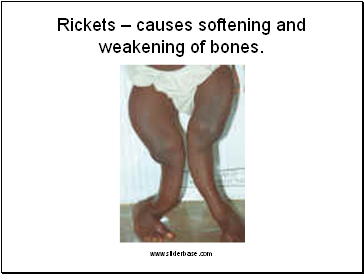 Rickets – causes softening and weakening of bones. Notice the bow shape of the legs. 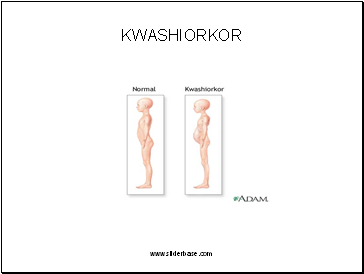 Kwashiorkor is a disease caused by a lack of protein in the diet. 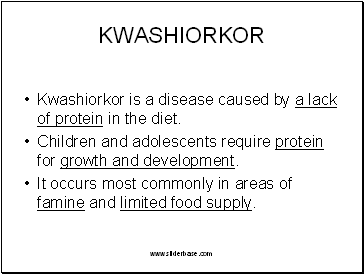 Children and adolescents require protein for growth and development. It occurs most commonly in areas of famine and limited food supply. 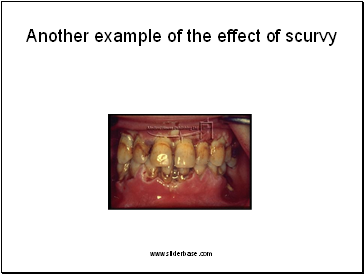 A condition caused by lack of vitamin C.
It causes weakness, gum disease and skin haemorrhages (bleeding). 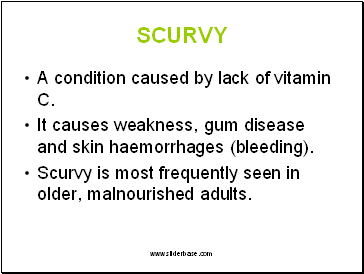 Scurvy is most frequently seen in older, malnourished adults. 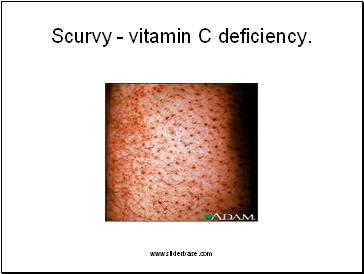 Scurvy - vitamin C deficiency.